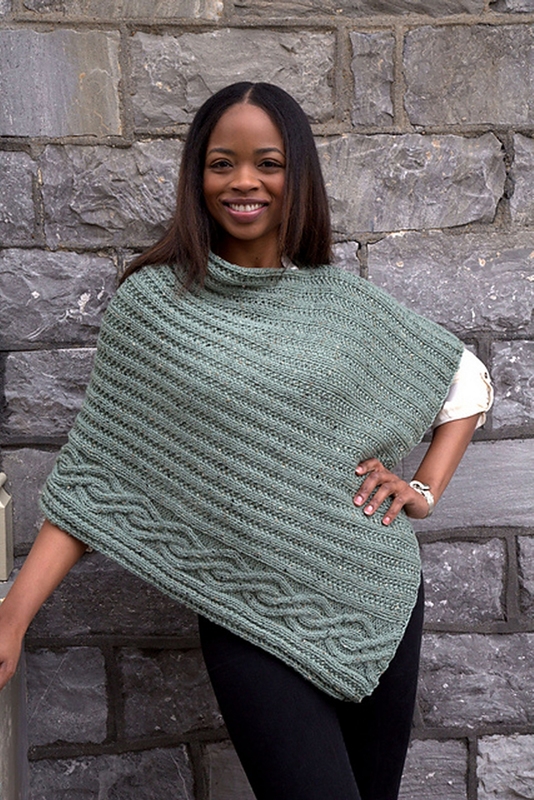 A lovely, textured poncho with a cabled edge. 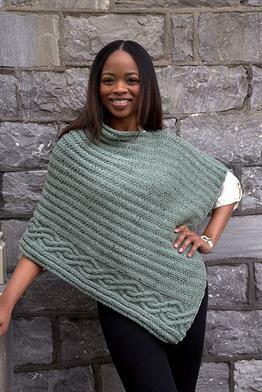 This pattern is from Plymouth Yarns. Size US 9-24" needles (or size needed to obtain gauge) are required but not included. Finished Measurements: 24" x 48" after blocking. 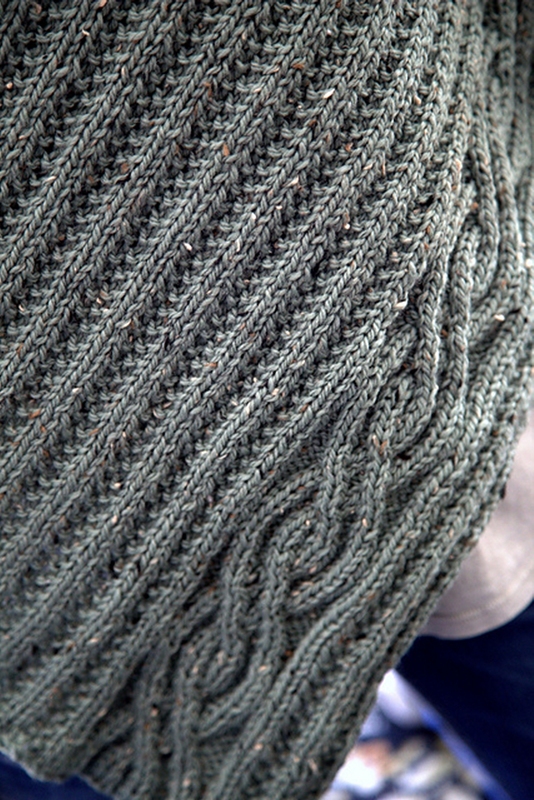 Gauge: 16 sts 22 rows = 4" over rib pattern.